RONA II, Halifax to Belfast First in Class ! Sailfast was selected by Rona II's skipper Chris Matthews for use in the 2009 tall ships race from Halifax, Nova Scotia to Belfast, Northern Ireland. Rona II is a 1990 Holman & Pye 68 foot Bermudian ketch, one of 4 vessels of the Rona Sailing Project, a charitable organization based in the UK that gives young people the chance to experience teamwork building sailing adventures. 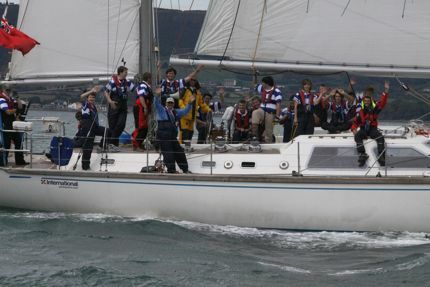 Rona II came in first in class, finishing in 15 days 16 hours and 37 minutes. Congratulations to the crew of 18 young men. This was certainly an enviable adventure of a lifetime. 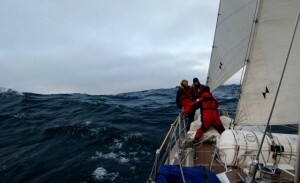 Sailfast delivered Matthews a custom version that circumvented the normal activation process so he could make a tight crew change in Halifax prior to the race start.